TypeWriter feels like a brand new band in 2017. When the band expanded into a five-piece in 2013 with the addition of multi-instrumentalist Alan Bok, TypeWriter inevitably decided to explore new sonic palettes and musical experimentations. The result is the five-song EP, “What You’re Feeling Is Not Enough”. It’s a giant leap from their 2010 album, “Indian Head Massage”. From the hynoptic opening slow burner, “Everything Is Classified”, to the soaring power pop epicness of “Gentle Wind” (that features Rachel Tan of Lost Weekend on vocals), to the melancholic yet uplifting “Sorry, I Got Carried Away”, the EP covers a gamut of emotions and musical diversity. “It took us about three years to record, mix and get these songs out. We had a change of drummer (Robin Chua replaced Redzuan Hussin) during this period as well but the main reason why we took a long time was that we really wanted to get out of our comfort zone and push ourselves musically and creatively. We didn’t want to get into a rut and just churn out another record that’s like our ‘Indian Head Massage’ album. I think we’ve succeeded in making a record that we’re excited about, that sounds fresh to us and we hope other people would like it and be able to relate to it too,” says Patrick Chng. 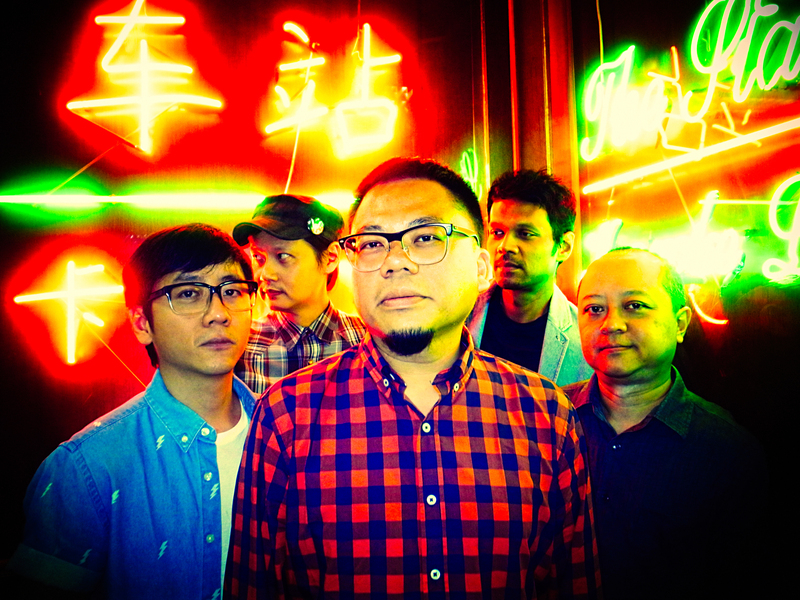 Formed in 2001, TypeWriter plays a unique brand of indie pop that is filled with pop sensibilities, catchy hooks and soaring melodies. After appearing on various compilations, the band released its debut album, “Indian Head Massage”, in 2010 to positive reviews. The band has played Baybeats Festival four times to date, performed twice at the Singapore Night Festival, Pink Dot 2013, Ignite Festival, 100 Bands Festival and was the first Singaporean band to be invited to the International Pop Overthrow Festival. The band performed at the Cavern Pub and the famous Cavern Club at the International Pop Overthrow Festival in Liverpool in May 2013. TypeWriter released their debut album in 2010, “Indian Head Massage”, to rave reviews. “Fans of the melodic pop-rock of Big Star, The Posies, The Replacements, Neil Young and Teenage Fanclub will have no problem with finding something to treasure and savour on this truly accomplished album” Bucketfull of Brains, UK. “Every song on the album is different with its catchy hooks sneaking up on you…” Spin or Bin Music, Singapore. “… one of our favourite Singaporean bands have come up with one quite fantastic album” The Wknd, Malaysia.